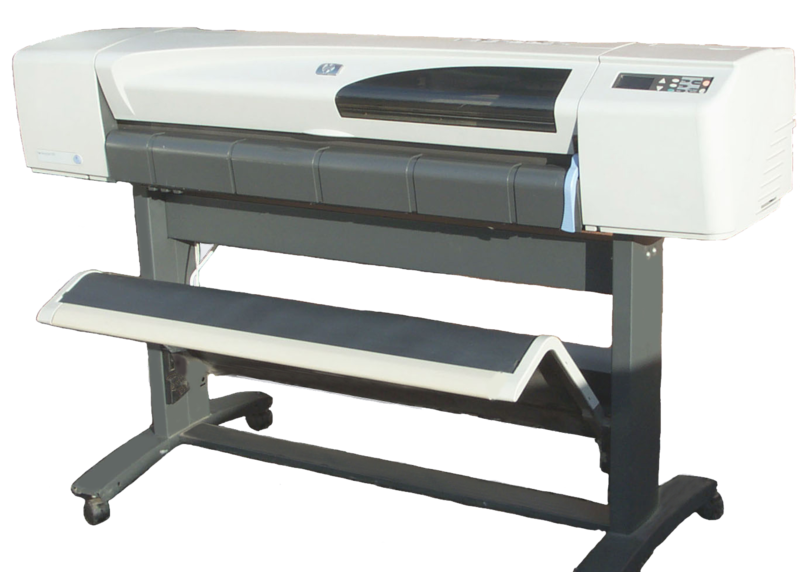 We support the entire range of HP Designjet Plotters including the popular HP Designjet 500 Series. Although the HP Designjet 500 is now obsolete we still have a large stock of genuine spare parts to maintain your plotter and help extend it's useful life. Our engineers have many years experience providing HP Designjet 500 repairs and we can provide an efficient & cost-effective onsite support solution. Get in touch to discuss your HP Designjet 500 Plotter repair. A worn or split main drive belt will often cause system error 86:01 'Paper Jam'. This is because the printer cannot move the carriage due to the worn belt and thinks it has a paper jam obstructing the carriage path. You will also notice large amounts of rubber debris inside your HP Plotter. The belt will need to be replaced to continue printing. System Error 21:10 means there is an issue with the Service Station which is located in the right end of your HP Designjet 500 Plotter. The service station is used by the printer to keep your printheads cleaned and primed. As such, over time, the Service Station can fill with waste ink which in turn contaminates the motors & gears. Normally the service station will need to be replaced to clear the error. Poor print quality, banding & horizontal lines through your prints are all symptoms that your HP Designjet 500 Plotter needs a maintenance service. Dirt & ink aerosol can build up on the internal components of your printer and cause print quality issues. Our Engineers can visit your site to 'strip-down' your printer and perform a full service.